for enterprise, and encrypted communication for 100G protocols. from March 5-7, 2019. To schedule a meeting, contact [email protected]. 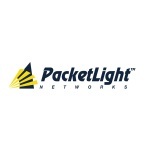 PacketLight’s suite of modular, flexible DWDM and OTN solutions, visit www.packetlight.com. For product and reseller information, please contact [email protected].